As a book printer King Printing believes that the key to satisfying its customer's needs lies in the ability to be flexible. To that extent we offer our customers both traditional as well as electronic prepress services. Our traditional prepress department is staffed with highly experienced and skilled craftsmen, and offers traditional camera, stripping, proofing, and platemaking services. Our electronic prepress department offers state-of-the-art equipment manned by highly trained operators. Both MAC and PC platforms are supported, along with all major page composition and image manipulation programs, giving us the ability to handle both native files as well as supplied PostScript files. 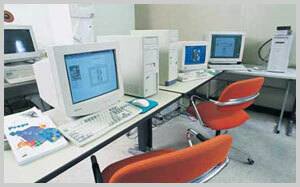 All workstations are connected together using 100 Base-T Ethernet. This configuration allows files to be worked on from any of our workstations, which helps to alleviate bottlenecks at any one machine.